Setting a fifth world record as the thinnest ever mechanical Chronograph in watchmaking history comes the new Bulgari Octo Finissimo Chronograph GMT. 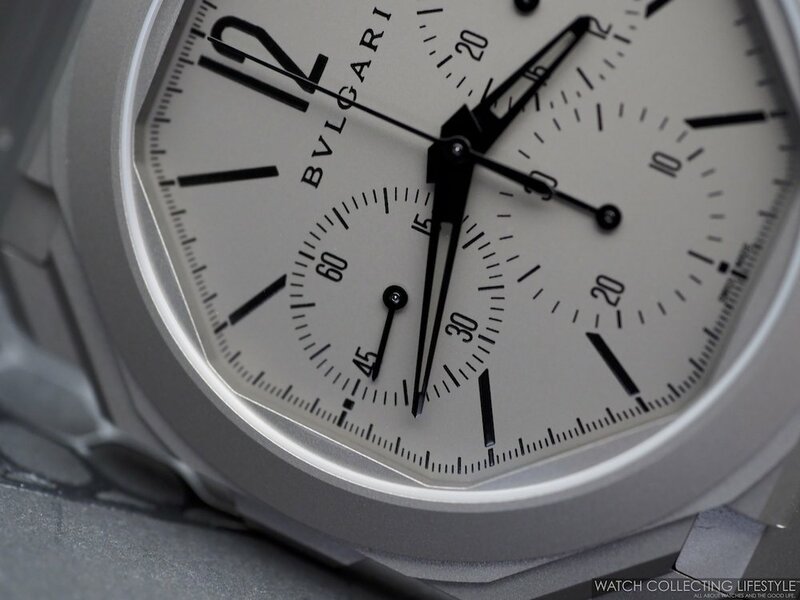 Endowed with a case measuring less than 7 mm in thickness, this new chronograph from Bulgari makes things even better by also adding a second complication in the form of a GMT. 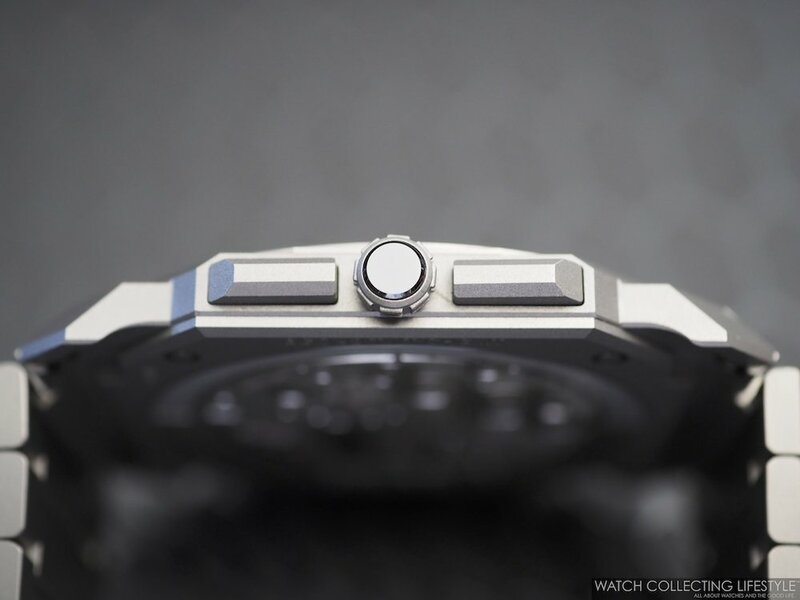 This integrated movement is another demonstration of Bulgari’s skills in Haute Horlogerie. The Octo Finissimo Chronograph GMT Automatic represents the fifth element for the collection. 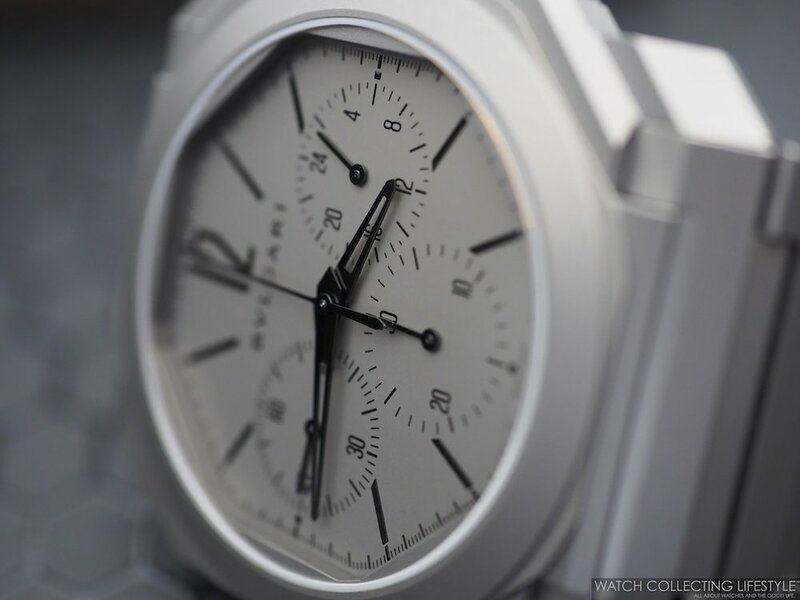 Neither round nor square, Octo has created its own codes since it was first released and, with its Finissimo collection, helped launch the industry trend for ultra-thin watches surpassing someone like Piaget in some ways. 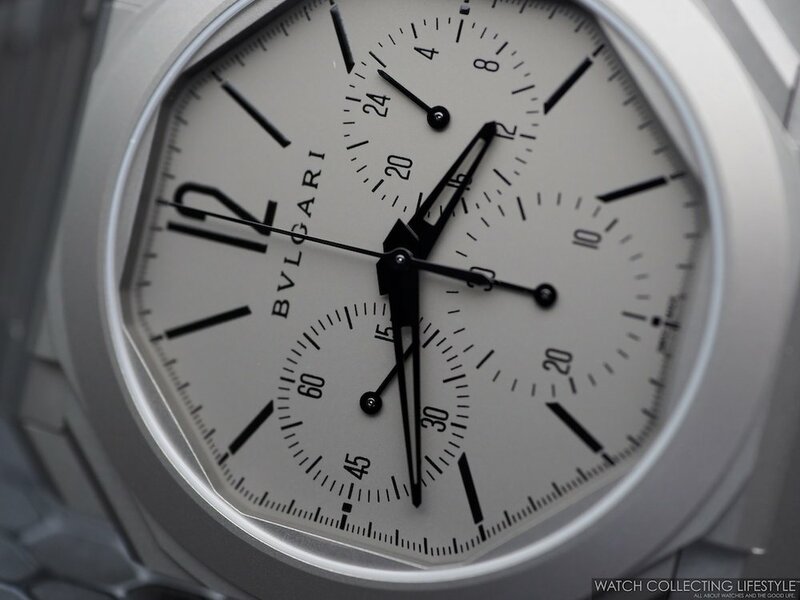 The Bulgari Octo Finissimo Chronograph GMT Automatic features a 42 mm case in titanium with a display case back. 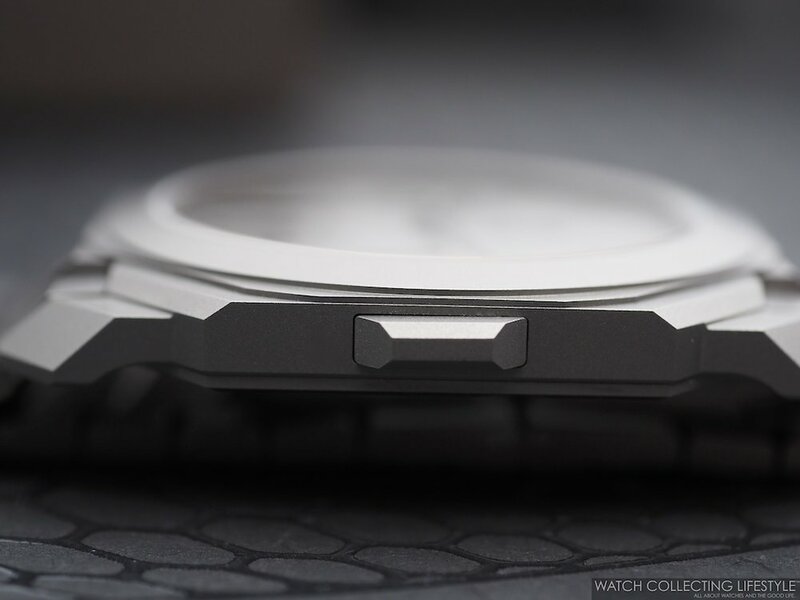 The titanium crown is set with a black ceramic insert and the dial is also made in sandblasted titanium. With a manufactured integrated movement that displays the classical chronograph functions with a 30-minute chronograph at 6 o’clock, it also takes on the GMT function allowing the wearer to set the local time with a pusher located on the caseband at 9 o’clock. The home time is indicated on a 24-hr subdial at 3 o’clock and the running seconds are located at 9 o’clock. This extra-thin chronograph housed in a titanium case is equipped with a sandblasted titanium bracelet that is extremely light. 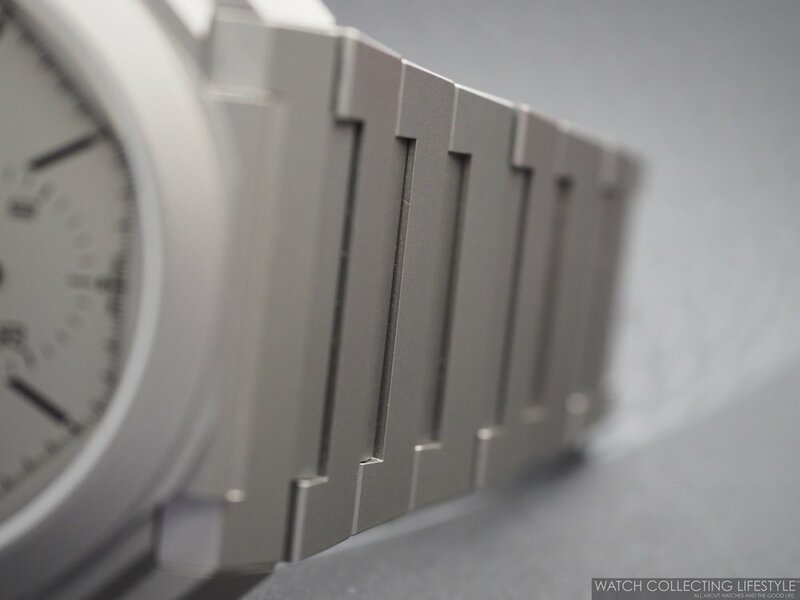 The total weight of the watch is a mere 84 grams in total. When compared sidy-by-side or better said, top-to-top against its Octo Finissimo Skeleton Power Reserve sibling, the Chronograph GMT appears almost as slender —only 1.55 mm thicker—, despite its highly complicated movement. Powered by a totally new in-house movement with chronograph and GMT function, the new automatic calibre Bulgari BVL 318 is merely 3.3 mm thick and provides a power reserve of 55 hours. Exquisitely finished and visible via the display case back, this new movement shows how Bulgari has become a horological force in the last five years. 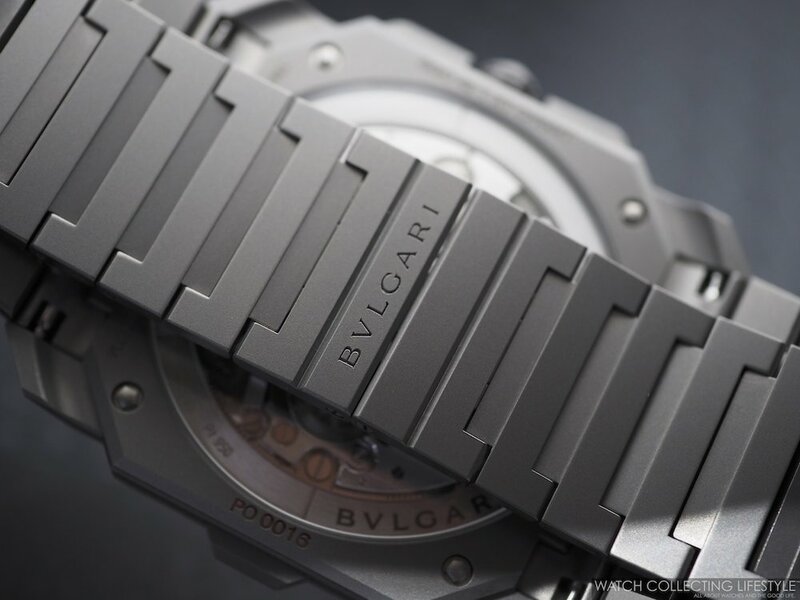 The Bulgari Octo Finissimo Chronograph GMT Automatic in Titanium wears slightly bigger than its actual size and more like a 43-44 mm watch. 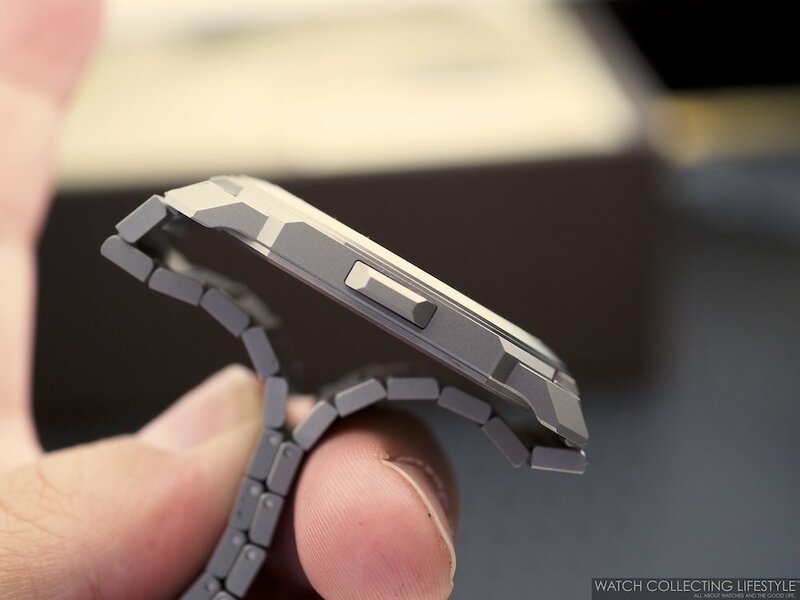 Due to its extremely light construction —less than 85 grams in weight— and its extremely slender profile, wearing this watch feels like as if you didn’t have a watch on your wrist. Light as a feather, remarkably executed and conveniently equipped with two of our favorite complications. Kudos to Bulgari on this release. And as far as pricing, this watch is priced just right;. Sticker Price $17,600 USD. For more info on Bulgari click here. 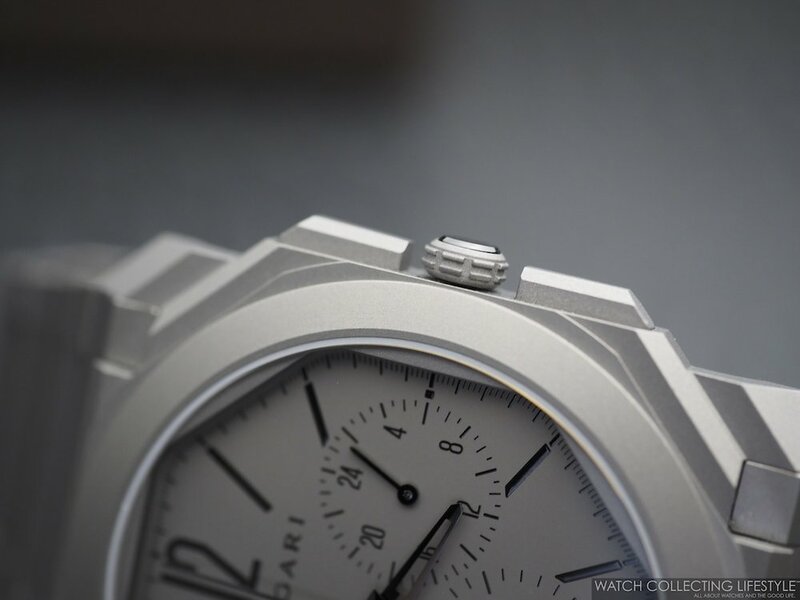 Posted on March 24, 2019 by Editor & Publisher and filed under Bulgari, Baselworld, Baselworld 2019 and tagged Bulgari Octo Finissimo Chronograph GMT Automatic Bulgari Octo Finissimo Chronograph Bulgari Octo Finissimo Chronograph GMT Dual Time Watches Chronographs Mainstream Brands 2019 Bulgari Baselworld Baselworld 2019 Most Popular.